Congratulations to the athletics team who reclaimed the West Leeds Indoor Athletics trophy with a powerful display at Priesthorpe on Tuesday evening. The team, which is made up of Year 5 and 6 boys and girls, had made the final after powering through their semi-final stage a fortnight ago. 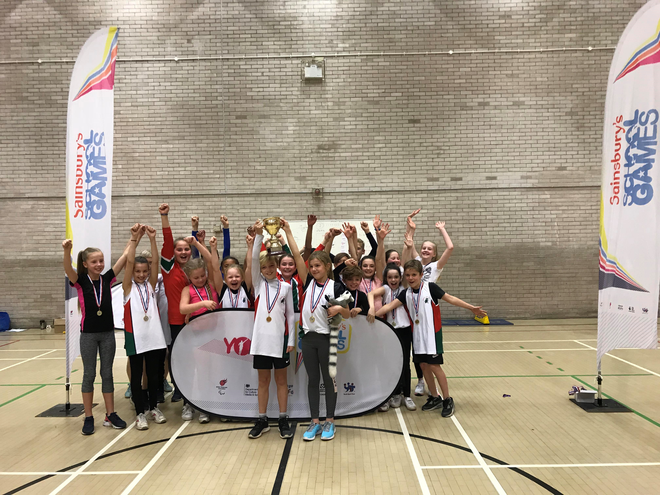 The best of the best in our local area came head-to-head in the final where there was some serious speed and athletic talent on display amongst the six schools competing. Our young sporting stars laid down a marker by winning the first four time trial races of the night and went from strength to strength from there. They went on to take gold in eight races in total and five of the field events. Having also taken either silver or bronze in the remaining events we amassed enough points to win back the trophy for the fifth year in succession (with a very healthy 60 point lead) and we now set our focus on the city-wide finals in January 2018. Well done everyone!